We know that not getting enough sleep comes with all sorts of negative consequences and our dependence on smartphones and gadgets usually only worsens our insomnia. British inventor Richard Mills has created a new technology that might actually help with those sleepless nights. 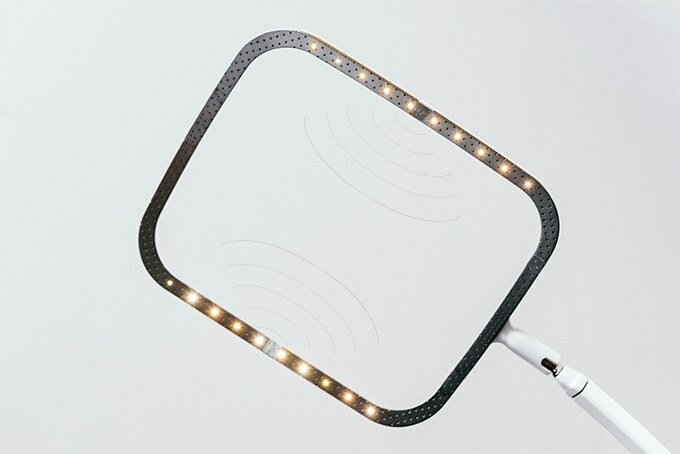 The SleepCogni, similar in size and shape to a bedside lamp, places a small rectangular frame above the head of the user, which emits gentle sequences of light, sound and vibration to help the user fall asleep naturally. 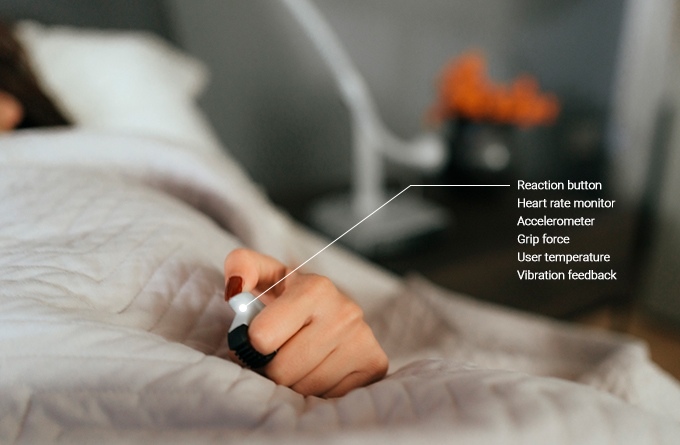 According to SleepCogni’s Kickstarter page, “SleepCogni’s patented technology monitors the bedroom environment, but more importantly measures you physiologically, that then allows you, the individual, to self-manage and induce sleep.” During the first night of use, the Sleepcogni will gather the user’s resting heart rate by using a heart rate sensor that the user wears on his/her index finger. From then on, the Sleepcogni develops a nightly strategy to bring the users heart rate down to his/her ideal resting heart rate. The SleepCogni is unique because it works and interacts with the user to produce the audio, visual and tactile cues the user needs to unwind and be peacefully induced into sleep. Different wavelengths of light are used to bring the user’s heart rate down, while naturally calming sounds and sound wavelengths put the mind at ease. 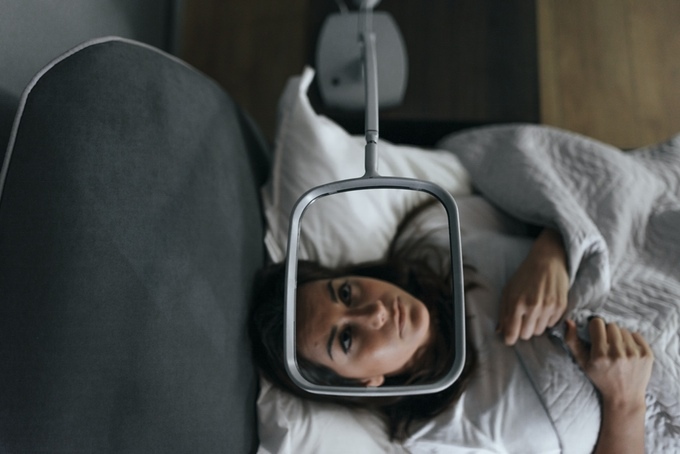 SleepCogni’s rectangular frame is placed above the users head and returns back to its original spot once the user is asleep or after a set period of time. 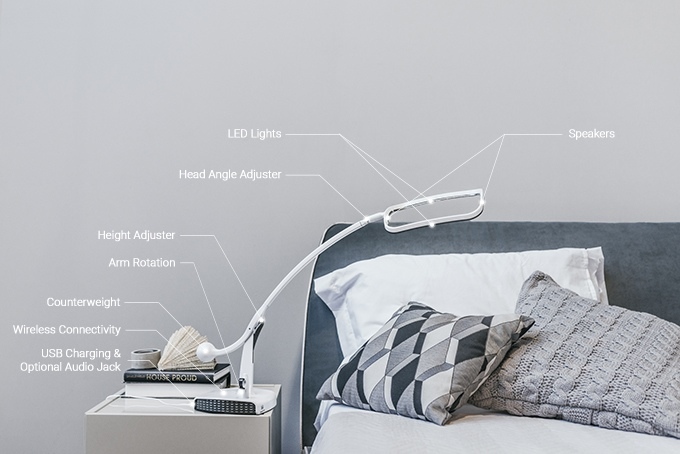 The design of the SleepCogni is very modern and inconspicuous – some people might even think it’s just a lamp. 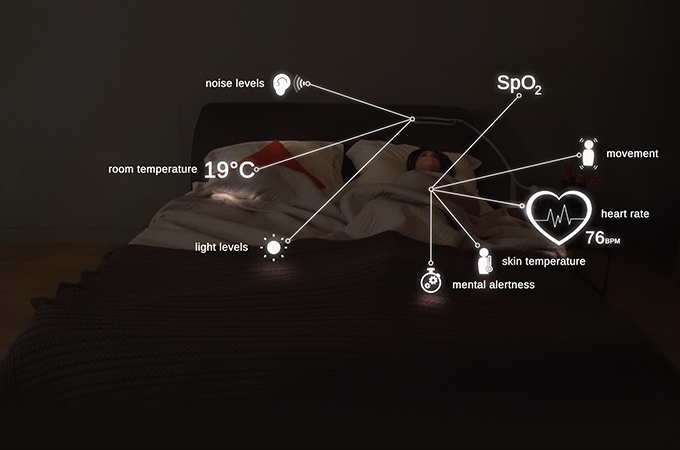 Although SleepCogni’s primary function is to help you fall asleep, it can also be used as a “contemporary bedside light and immersive stereo music experience.” Talk about multifunctional. There’s an App for that. 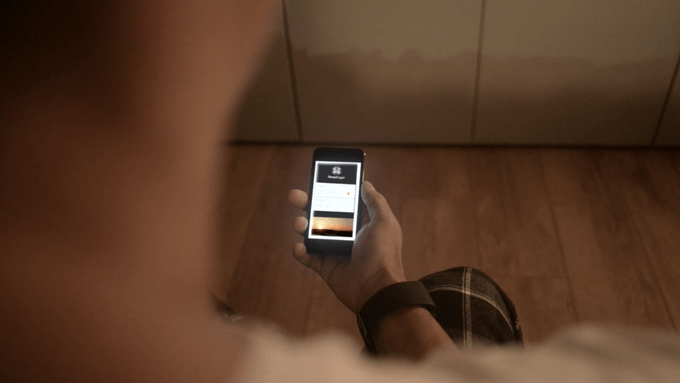 All of SleepCogni’s functions can be controlled via a smartphone app. Trouble waking up early? Set your alarm with SleepCogni and it will stimulate a sunrise getting brighter and brighter to help you wake up easier. 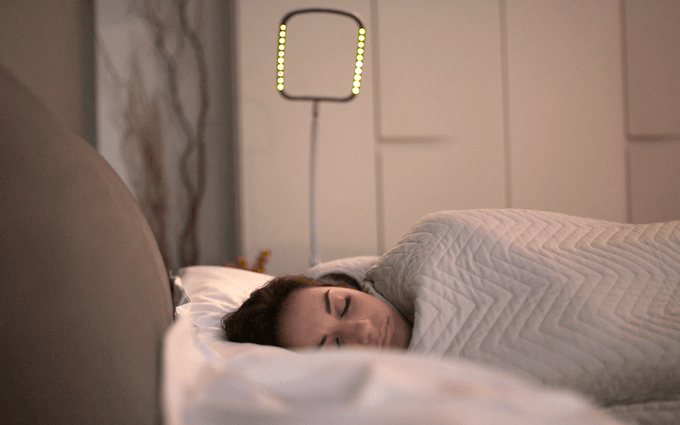 While still only a Kickstarter project, the SleepCogni might be worth a try if you have tried just about anything and still cannot get a good night’s sleep. Do you think this new gadget will work?